Tickets are still on sale for this year's Scottish Dive Conference which will be held in at Stirling University on Saturday 21st November. Advance tickets are £20 or £18 if you're a student or OAP. These will be £23 on the door. Tickets for the evening dinner are £28 which includes a 3 course meal. You can get yours by using the above links. Sales close at 10AM on Thursday 19th November, so you've only a few more days to get your tickets at the reduced rate. Registration opens at 8.45 with the main conference events being opened at 9.15. Tickets are selling fast, which is not surprising considering the impressive line up we have on offer. A full schedule of events will be released in the next few days. Your ticket will afford you access to the great speakers below. You'll also get free tea or coffee, a free £5 lunch voucher (courtesy of ScotSAC),a free Goodie Bag, a free Wallet (from Northern Diver), free entry to our Photography Competition, and of course our grand raffle held on the day. Get yourself along for a great day out! Underwater Explorer, Extreme Diver, Climber, Skydiver, Adventurer, BBC TV Presenter, and Author are just some of Ex-Soldier Andy's many titles. Andy will be sharing some of his many exciting experiences, adventures and exploration of the UK. From re-discovering lost flooded mine systems, mapping new underwater passages in The Cave of Skulls, and attempting the world’s first blowhole dive, to finding shipwrecks deep in the seas of Britain. You'll also get the opportunity to purchase his new book, Extreme Adventures, face to face and have him sign it for you! Rick is RNLI's Community Safety Resources and Development Manager, a PADI and ScotSAC trained diver and has also been chairman of the British Diving Safety Group for the last ten years. He will be giving a talk about the results of the Diving Safety Research that the RNLI has been carrying out over the past year and how they are going to follow that up next year. This is your chance to get a preview of the new campaigns while there is still an opportunity to influence the final content. Kelvin Murray is a professional diver, expedition leader and explorer specialising in remote and polar locations, and will be talking about his adventures in some of the worlds most remote and wild diving locations. DR RICHARD CULLEN - "Deptherapy and how the aquatic realm heals"
Dr Richard Cullen is the Founder and Chairman of Deptherapy and Deptherapy Education. He'll be speaking about the rehabilitation of seriously injured British Armed Services Personnel who have suffered life changing mental or physical injuries, through the medium of scuba diving. MARIO VITALINI - "Fish in Focus"
Mario has had nearly 15 years working as a dive instructor around the world. Developing a real passion for the diverse world of underwater photography, today Mario runs fishinfocus underwater photography, helping people get more from their cameras with UK day courses. His talk will focus on high end consumer and semi pro equipment and composition. ROB READ - "Sea Shepherd an Introduction and their ongoing Campaigns"
Colin Martin learned to dive in 1959 while serving with the army in Cyprus, and was captivated by the wealth of antiquities preserved in its clear waters. On coming home he became a freelance photo-journalist, specialising among other things in diving and archaeology. His talk will summarise the nature and importance of the wreck of a small 17th century warship which sank off Duart Castle in 1653. With a new visitor trail being officially launched he will suggest ways in which interested divers can actively help to protect this important part of Scotland’s historic shipwreck heritage. MARK BARROW - "The Captivating World Of River Diving"
A look through the eyes of a keen river/fresh water diver. He will cover various parts of river diving from what can make it so different and interesting, to the bygone years of rivers and how you can take a step back in time to see history. He will look at the safety aspects that need to be taken into consideration when embarking on a river dive, and the different types of river diving that can be found. He'll also cover what can you see when you're in rivers/fresh water from unusual finds to the creatures and wildlife that live in and around them. MELANIE LONG - "Freediving and becoming a real life Mermaid"
Freshly returned home to Scotland after 5years living in Phuket, Thailand and working as a Scuba instructor, Melanie is a Model, Mermaid and a competitive Freediver. Mermaid Melanie will talk you through her journey and childhood dream of becoming a real life little mermaid. ROD MACDONALD - "Shipwrecks of Palau"
Most divers will have heard of Truk Lagoon which is a sheltered body of water in the central Pacific. About 1800 km north-east of New Guinea and the fabulous shipwrecks that lie within. Rod’s previous book "Dive Truk Lagoon" was previewed at our conference last year. Not many people will know that just 6 weeks after hitting Truk Lagoon, the same U.S. Task Force 58, fielding 500 Hellcat fighters, dive bombers and torpedo-bombers, carried out a copycat 2-day air strike on the great Japanese naval anchorage and air base of Palau, 1,000 nautical miles to the west of Truk. The result was equally devastating. Palau was destroyed as an air base and more than 40 Japanese ships were sunk. Many of these were raised during the 1950’s but today 20 important wrecks remain with new wrecks lost since WWII being found each year. Whilst most divers come to dive Palau’s beautiful coral reefs, 1,000 ft. drop offs, blue holes an see sharks an manta rays, Rod’s new book "Dive Palau" - the Shipwrecks will hopefully give the wrecks the prominence they deserve. GORDON MACSKIMMING - "Underwater Photography in Scotland - Take 2"
His presentation for us will include exerts from the "Scottish Underwater Photographers Group" evening he delivered at Bridge of Allan a few months ago to SUPG members. The content includes images of marine life taken over the years whilst diving Scotland beautiful coastline around scenic walls, local piers and on its enchanting wrecks. With an instructional slant it will address some of the challenges facing underwater photographers in Scottish seas. Concluding with a short film, the presentation will inspire even the humble beginner to get clicking under the water. MATT BARNES - "Plastics and Poo - Threats to Scottish marine life"
Join Matt the Volunteer Manager for the Marine Conservation Society in Scotland as he takes you on a whirlwind journey of our amazing marine environment, the threats it faces and the ways you can help. His presentation will include an overview on the health of Scottish seas and the current threats to marine animals from climate change and invasive species through to plastic ingestion and marine litter monitoring through to Seasearch biodiversity recording dives and a host of other volunteer activities. 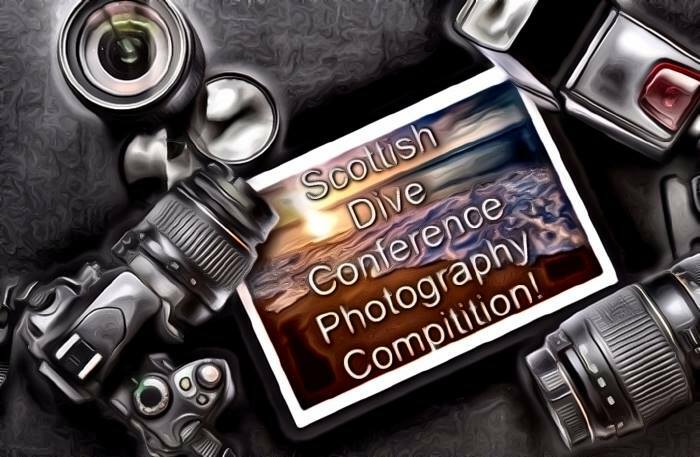 The Scottish dive Conference Photography Competition will be held in the usual format on the day. Ticket holders are invited to submit 1 entry in the "Below water" category and/or 1 entry in the "Above water" to be displayed during the show and judged. · One entry per person per category (that makes a total of 2 entries in total per person). · You need to bring your prints in person on the day. · Entries must be no larger than A4 in size (including any mount). · Photos from previous SDC photo competitions are not eligible to be entered again. · Please ensure your name, details and some information of where the photo was taken are written on the back. · Where possible leave a border around the edge of the photo for delegates to place their stickers showing their votes. · Entries must be handed into the SDC T-shirted helper manning the photo competition boards at the Conference – obviously the earlier you do this the more chance delegates have to vote for your photo. · Should you be one of the lucky winners, please be around in the main hall (Black Room) when the prizes are being presented so we can take photographs as you receive your prize. It is great for our sponsors to see who won their prize and they may wish to use the fact in their publicity. Book you tickets for the dinner dance which will follow the dive conference, Stirling Court Hotel will host our after party. Situated just 200 yards from the main conference venue, there will be an evening of fine dining with three course meal before dancing the night away with disco and a live band. Bring your buddy, bring your other half, bring friends, come as a club, make it your Christmas night out, why not come and make a weekend of it? ScotSAC Award For Volunteering 2015 - Nominations Closing Soon! There's still time to get your nominations in for this year's ScotSAC Award for Volunteering, sponsored by Suunto UK. This year's prize is a top of the range DX Dive Computer - the world's first watch-sized CCR dive computer, worth a whopping £850! The DX is the perfect combination of functionality and style for underwater adventures and everyday wear. The newest addition to the D range of Suunto computers, it's capable of monitoring dives conducted on air, nitrox and trimix on both open circuit and CCR. It possesses all the typical features expected of a high spec. dive computer including 3D tilt compensating electronic compass, with gas switching between up to eight gases & five modes - CCR, Air, Mixed Gas, Gauge and Off (Normal/Time Setting). This award is designed to reward an individual's exceptional contribution to our sport. If you know of any individual within ScotSAC who has made a significant contribution to the sport, in any way, now is your chance to nominate them for recognition. Nomination forms are available to download here. Judging will be by a panel consisting of the Chairman, National Diving Officer and General Manager of Suunto Diving UK. All Nominees must hold current membership of the Scottish Sub Aqua Club and may not be current members of the Board or National Diving Council. The closing date for nominations is 6th November 2015. 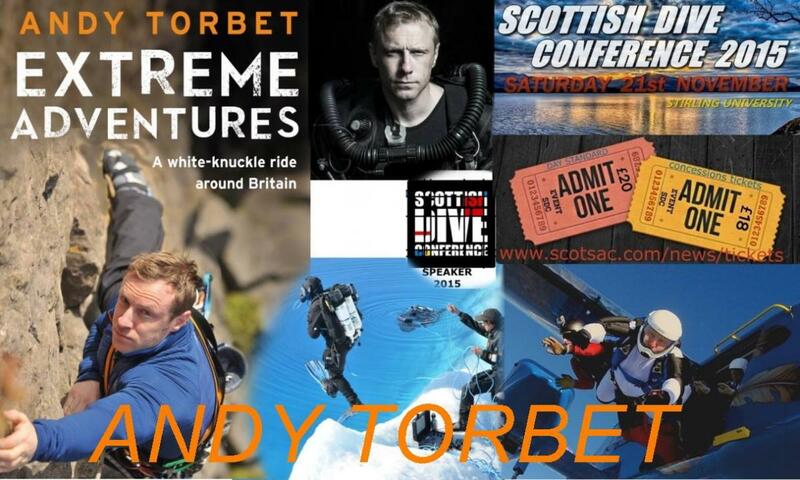 Scottish Dive Conference Tickets On Sale! The Scottish Dive Conference red carpet is ready to be unfurled on Saturday 21st November. Stirling University will once again be the stage of our 2015 performance with another jam-packed day lined up for you. A plethora of new and returning speakers will be presenting in the main theatre or in one of the four break out rooms. This year we will have talks from all wards of diving: Arctic Explorers, Film/Camera Photography, Life Support, Marine Conservation, Archaeological, Disability, Rivers, Caves, Wrecks, Technical and Free divers to enthrall your passion for what can be achieved whilst wearing rubber! Stirling University's central location has great commuter links, acres of free parking, on-site amenities and accommodation. The main Atrium area will again hold our reception, lunch, and our growing collaboration of stands and stalls with marine conservation groups, dive charters, book sales, marine outboard engine services and sales, and dive equipment sales, full of new shiny dive things to tempt you at dive show prices. This year the RNLI would like to invite you to bring along your boating life preservers to be checked for sea worthiness. This free service is to make sure it would be effective if an overboard incident occurred whilst wearing it. Conference delegates will receive a programme and bag of various goodies, offers and leaflets donated from attending groups, dive charters, travel arrangers and major equipment manufacturers. There's also the chance to win big in the Dive Conference raffle with plenty of 'not to be missed' prizes up for grabs. As notified in the July August issue of Scottish Diver Magazine, the 2015 AGM will take place in Caledonia House, Edinburgh on Wednesday 23rd September at 7.30pm. Please arrive at 7pm for a 7.30 start. Further details, meeting calling notice and proxy forms will be issued to all members with our September/October issue of Scottish Diver. For those who don't receive a copy of the magazine, your forms will be sent out seperately from HQ. In the event that you have a problem downloading or opening any of the files listed below please contact HQ. 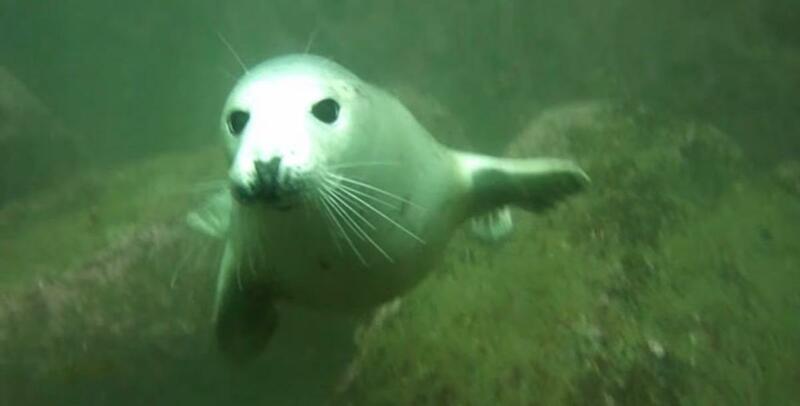 Grampian Branch of the Scottish Sub Aqua Club have just released some brilliant footage of them diving in various locations around the Scottish coast. Check out our YouTube channel for the full length version. Credits go to Ruth Dunbar for producing the documentary.